Almost completely reliant on marine resources supplied by the lagoon, the people of Langalanga are working together to replant vital mangrove forests that provide food, fuel and income. 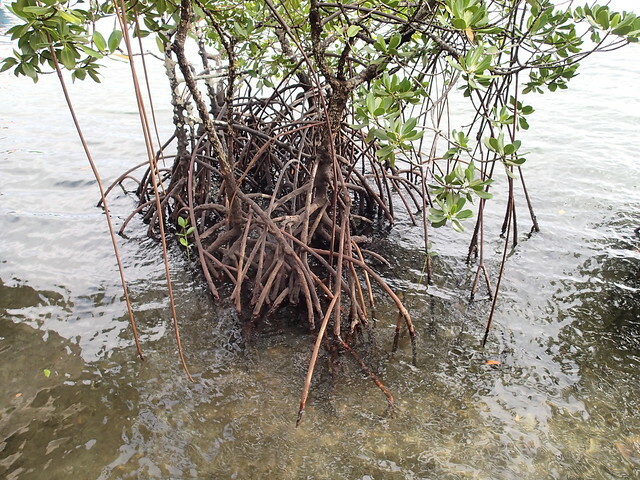 Mangroves are important ecosystems that provide food, firewood, building materials, and shoreline protection for coastal communities. They are also vital nursery grounds for fisheries, which support the livelihoods of 85% of people in the Solomon Islands. However, these valuable ecosystems are increasingly under threat. In many areas, mangrove trees are unsustainably harvested by for firewood and building materials. This harvesting threatens vital marine resources. “After 10 years, there shall be few mangrove plants in most Malaita lagoons if communities continue to cut and harvest mangroves at the current rate. 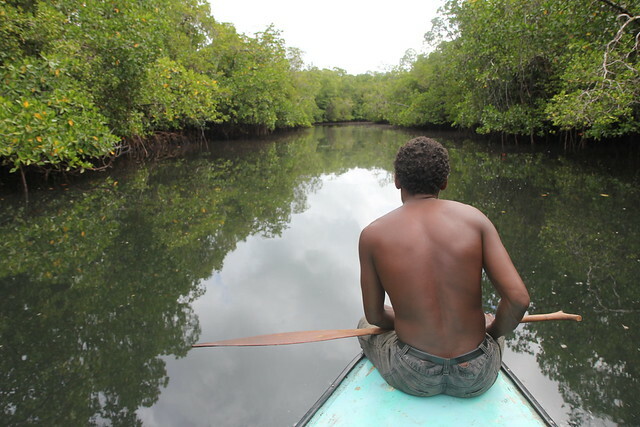 The way forward is replanting mangrove trees,” says Dominic Odu, a farmer from Langalanga in the Solomon Islands. “So we decided to replant not only the edible types but also some species that grow on the water front, which we don’t eat but do big work in protecting our environment,” he explains. 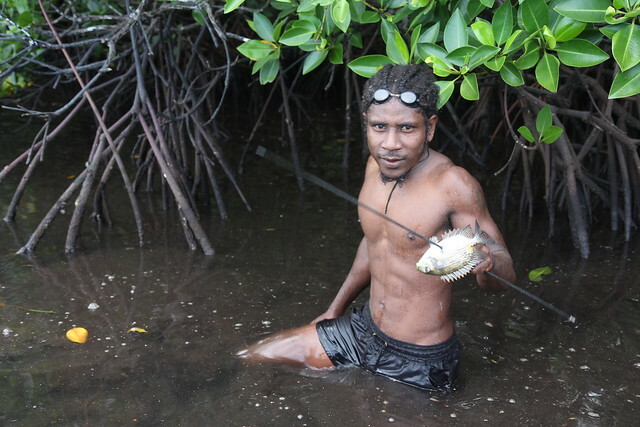 Dominic and fellow farmer, Benjamin Waleilia, are fighting to rescue mangroves in Malaita. As key community resource persons’, they have been involved in awareness programs and training sessions in mangrove management, including replanting mangroves in Langalanga. As part of their ongoing work, Dominic and Benjamin joined other farmers in Malaita to run workshops on replanting and protecting mangroves. 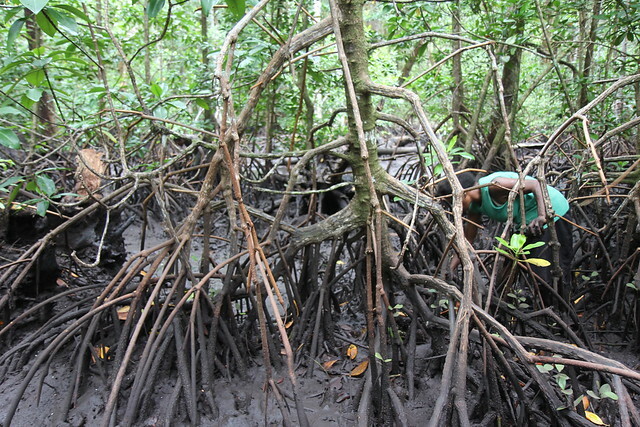 They shared their knowledge through face-to-face trainings and mangrove replanting demonstrations with farmers. They also held discussion sessions on the importance and use of mangroves, the best types of mangroves to plant, where to plant and how to manage them. “For people living in the lagoons like Langalanga, losing mangroves is the same as losing your livelihood,” says Dominic. 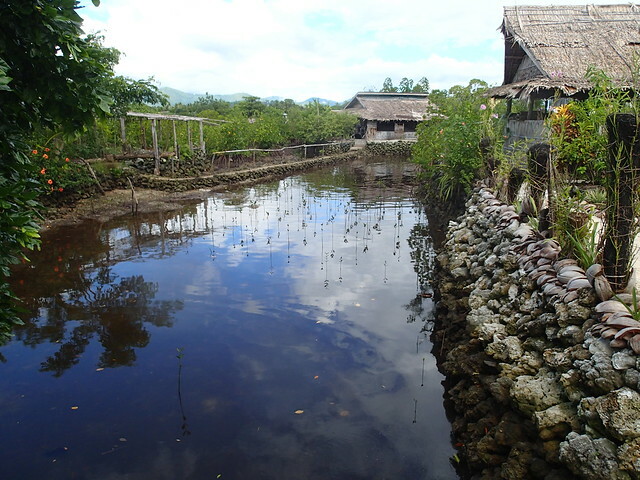 In 2013, they held a mangrove training workshop at Radefasu village in Langalanga as part of the CGIAR Research Program on Aquatic Agricultural Systems. The aim was to raise awareness and understanding of the importance and value of mangroves and to provide information and knowledge sharing. The training workshop also ran field visits to Radefasu mangrove nursery and replanting sites for participants to practice mangrove species identification and learn replanting techniques. “During the training, I have heard many participants say mangrove replanting is easy work and I saw many strong and motivated faces in the room. All participants are speaking about replanting mangroves after the workshop. It will be interesting to see progress,” says Dominic. In 2014, the six communities who were involved in the mangrove management program formed a committee to put in place rules for their Langalanga lagoon management site. Work continues in 2015 as they implement their mangrove management site activities. Knowledge sharing and learning is a core part of the CGIAR Research Program on Aquatic Agricultural Systems in Solomon Islands. The Program takes a participatory action research approach, working with community members as co-researchers to develop locally appropriate solutions.